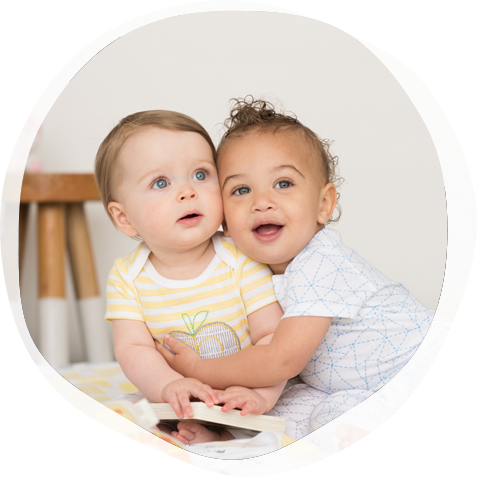 Lamaze International has been instrumental in bringing the message of natural, safe and healthy birth to families around the world. Your donation allows us to continue to disseminate that message through the work of our passionate childbirth educators, evidence-based research and direct outreach to women. With your Lamaze donations . . .
Lamaze International reaches consumers, members of the media and health care professionals with a contemporary approach to pregnancy and childbirth, allowing women to have the birth experiences they want for themselves and their babies. We promote the evidence-based Six Healthy Birth Practices to pregnant women and the individuals who support them. We hope these practices increase awareness and decrease the alarmingly high maternal mortality rate in the United States. We inform health care professionals about the substantial and long-standing body of evidence that is the basis of Lamaze education. Lamaze International makes a difference! Please demonstrate your commitment to natural, safe and healthy birth by supporting Lamaze International with your tax-deductible donation. Choose this option to further advocacy efforts and get education and information into the hands of childbirth professionals and parents, helping women have the childbirth experiences they desire.